When the Nazis invaded Hungary in 1944, they sent virtually the entire Jewish population to Auschwitz. A Hungarian Jew and a medical doctor, Dr. Miklos Nyiszli was spared from death for a grimmer fate: to perform "scientific research" on his fellow inmates under the supervision of the infamous "Angel of Death": Dr. Josef Mengele. Nyiszli was named Mengele's personal research pathologist. 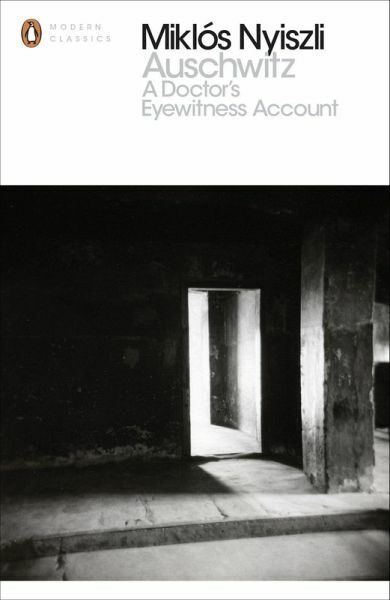 Miraculously, he survived to give this terrifying and sobering account of the terror of Auschwitz. This new Penguin Modern Classics edition contains an introduction by Richard Evans. Dieser Download kann aus rechtlichen Gründen nur mit Rechnungsadresse in A, B, BG, CZ, D, DK, EW, E, FIN, F, GR, HR, H, IRL, I, LT, L, LR, NL, PL, P, R, S, SLO, SK, CY, GB, M ausgeliefert werden. Miklós Nyiszli (1901-1956) was a Jewish prisoner at the Auschwitz concentration camp. Nyiszli, his wife and young daughter were transported to Auschwitz in May 1944. After he had worked for a short while as a labourer at the I. G. Farben factory at Auschwitz-Monowitz, his medical qualifications were discovered by the SS and he was sent to the extermination camp at Auschwitz-Birkenau, where he worked as a pathologist under the supervision of the notorious camp doctor Joseph Mengele. Nyiszli survived the camp along with his daughter and returned to his home, now part of Romania, where he died in 1956.